We will be digging evergreen trees again soon! 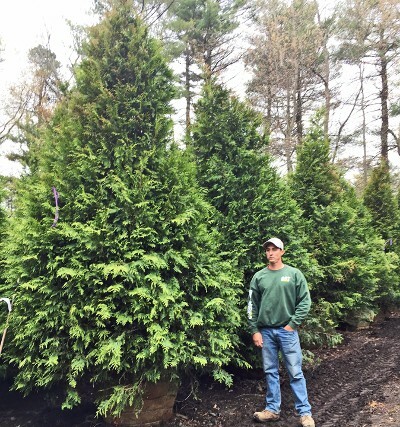 Green Giant Arborvitae, Blue Spruce, Fraser Fir, Canadian Hemlock, White Pine, Blue Point Juniper, Eastern Red Cedar, Perfecta Juniper, Norway Spruce, White Spruce, Steeple Chase Arborvitae, Concolor Fir, Douglas Fir, Emerald Green Arborvitae, Dark American Arborvitae, Meyer Spruce, Concolor Fir...and many evergreen shrubs too! We Grow Trees For Instant Privacy! Evergreen trees and shrubs can make any yard more private. We grow a large variety of evergreen trees and shrubs that screen out unwanted views. Design, delivery, and installation for a quick and easy solution. Some trees from our nursery always sell out quickly. 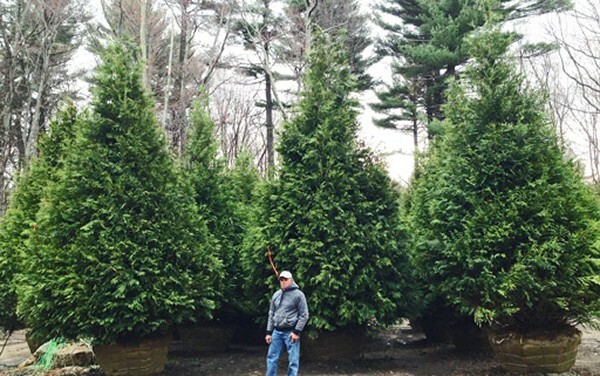 Let us know if you would like to be notified when specific trees arrive from our farm! Click Here to see a complete list, with descriptions and pictures. Deciduous trees and shrubs that lose their leaves in the winter can also play an important part in screen and privacy planting. They add interest, texture and even flowers and fragrance. These selections can also "hold the space" and block the view, while the evergreen trees and shrubs are growing to maturity. 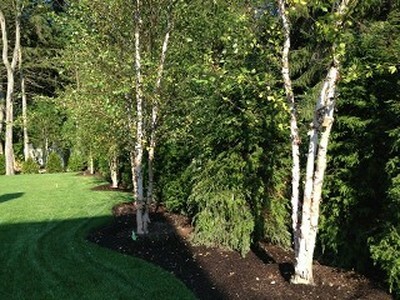 We grow many trees and shrubs at our nursery that would fit right in with your naturalized screen or privacy planting. Hopkinton Stone & Garden, Inc.